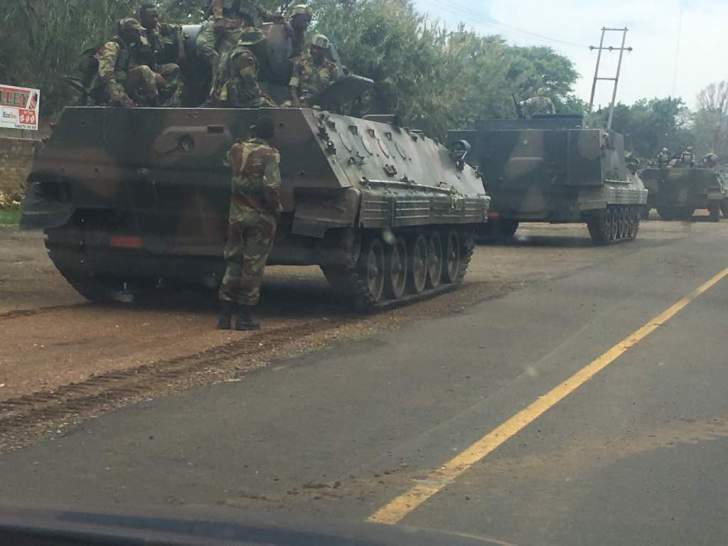 President Robert Mugabe’s days in office appear to be now numbered, as the military has started reportedly sending tanks and troops to Harare, in what many are viewing as an imminent takeover of power, to block Mugabe’s intentions of installing his wife and First Lady, Grace Mugabe, as the country’s second female Vice President next month. The move to appoint Grace, will all but clear her path to becoming President, perhaps soon after Mugabe wins the 2018 elections, if at all they happen. Spotlight Zimbabwe, has stayed on top of the unfolding historic events around the fresh power and succession crisis in the country, with indications that Mugabe is on the verge of being kicked-out of office.